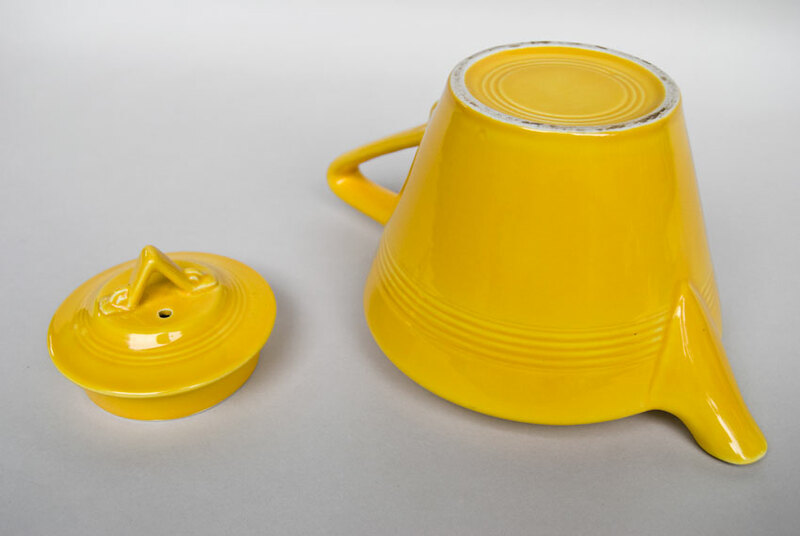 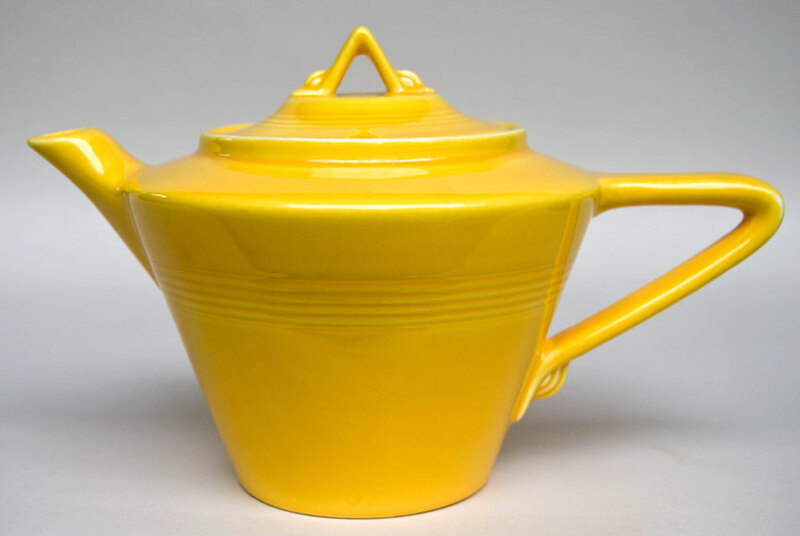 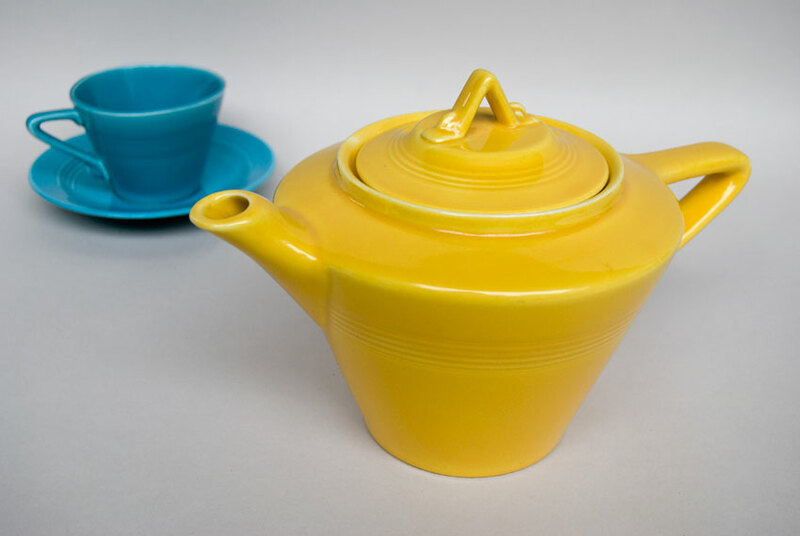 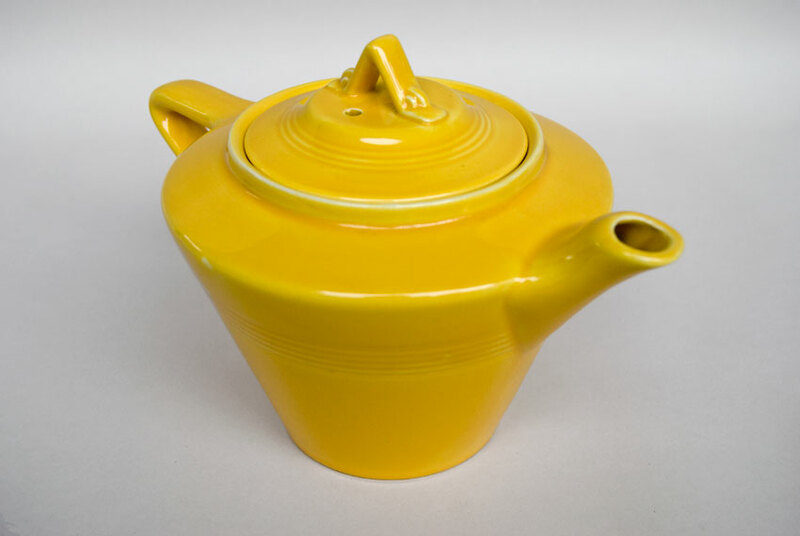 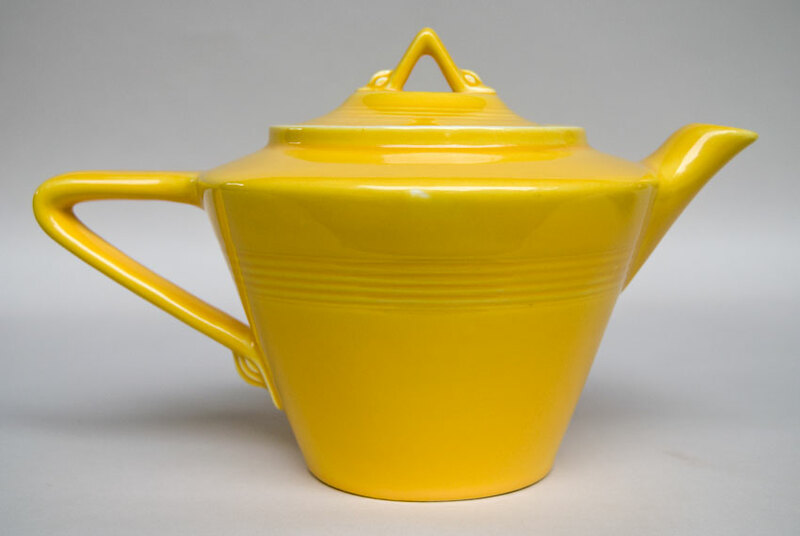 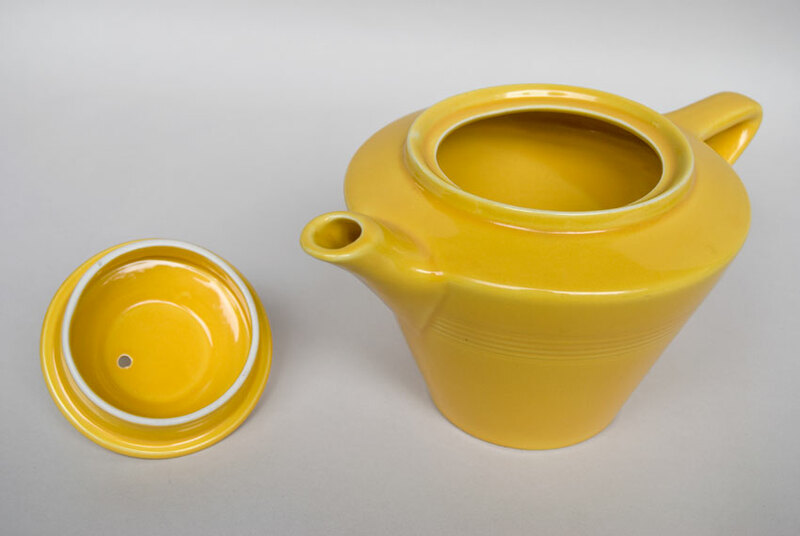 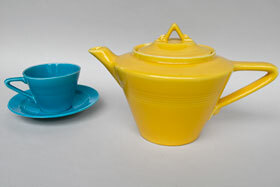 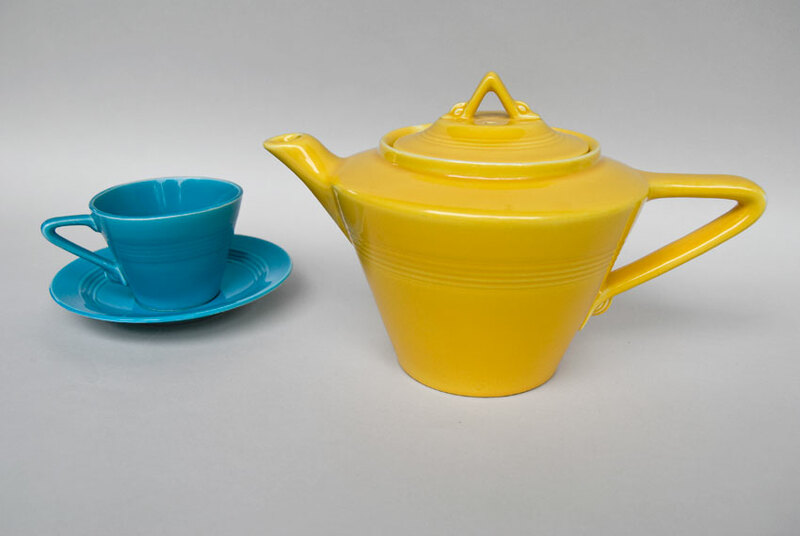 Circa 1938-1959: Collectors of Harlequin pottery love the teapot shape with its great triangular lines and tappering body adorned with concentric rings. 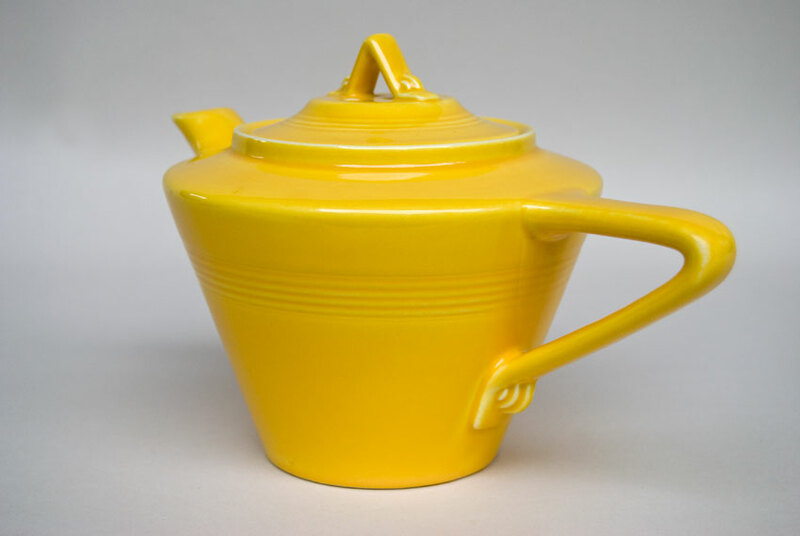 Subtle yet powerful design elements, like the very art deco graduating details at the base of the handle and ends of the knob on the lid set this design above the rest. 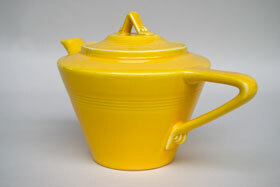 This example in one of the original colors of yellow is in excellent condition and will please any collector. Please note a small glaze skip on the top edge of the body of the pot, shown in picture one, slightly above center. No human damage, no scratches, no touchups or repairs, glaze is that great sunny Harlequin yellow. Nearly 10" from handle to spout and over 6" tall the teapot holds 34.5oz.